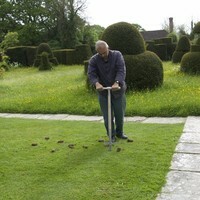 This tool is part of a range especially designed by Great Dixter. 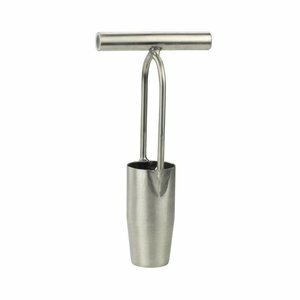 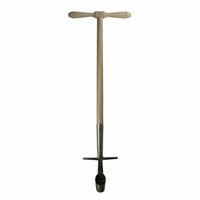 Modelled on Nathaniel Lloyd’s historic bulb planter, this tool has the advantages in balance, weight and angles to supersede any other tool for this job on the market. 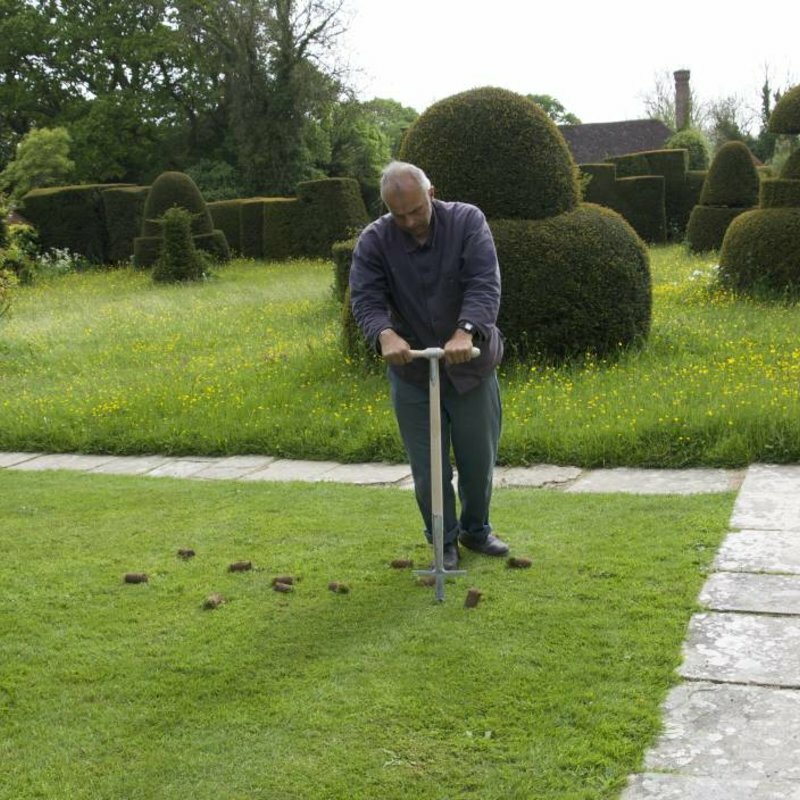 It enables you to walk through and take plugs out randomly, allowing for more naturalistic plantings. 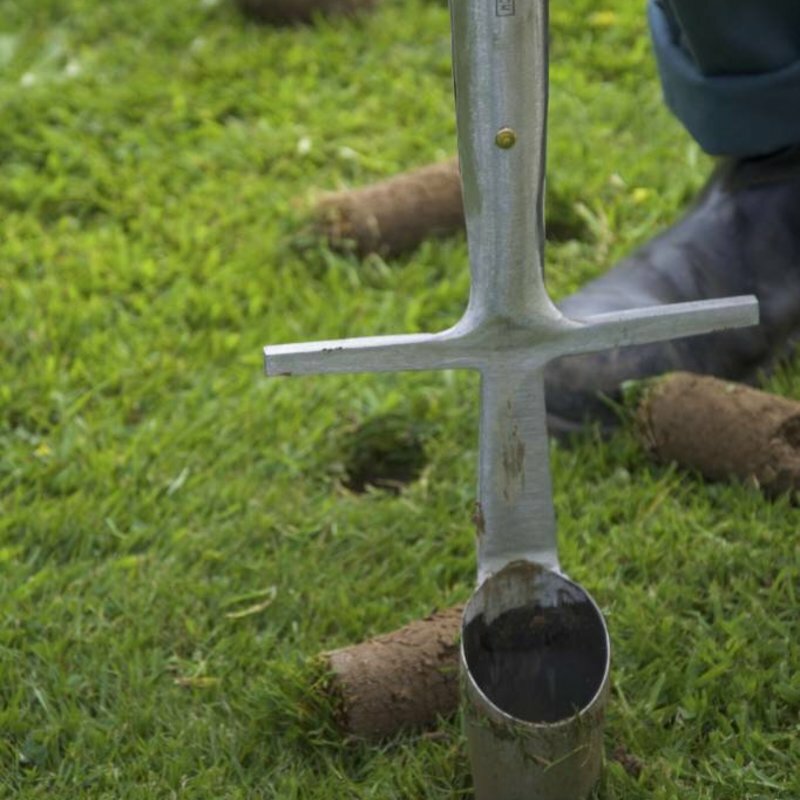 The wide cross handle allows you to drive the head into the turf with ease and the tapered head means that when it goes into the soil, the plug is pushed out effectively each time. 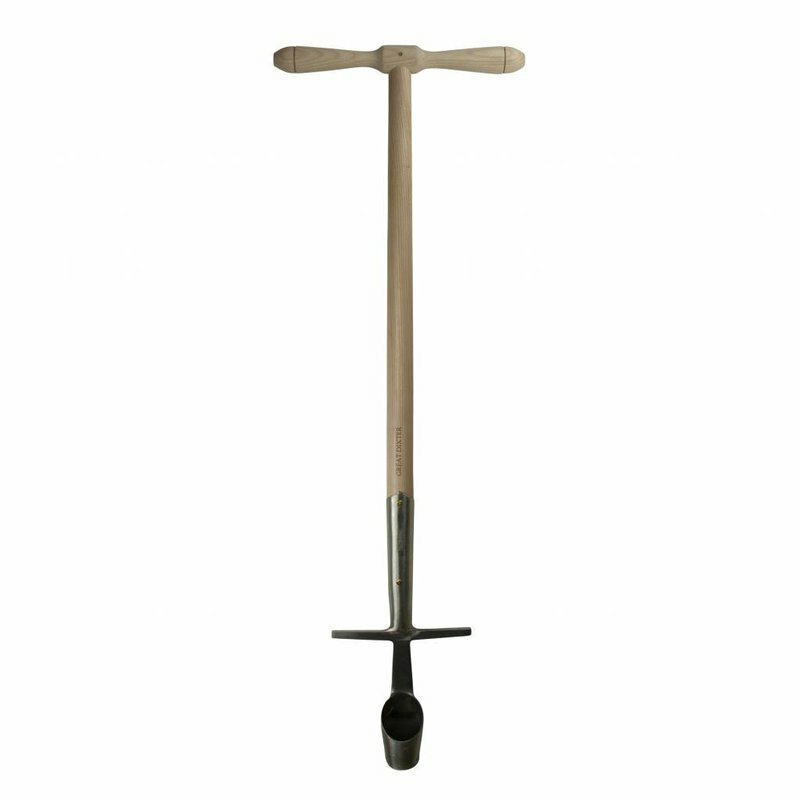 This is a solid, well-built tool that makes bulb planting in turf an enjoyable task. 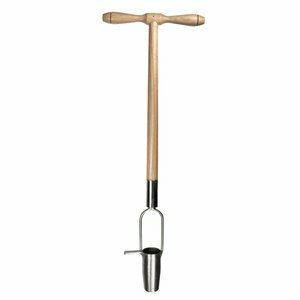 It has all the beauty, sophistication and ergonomics of an old tool coupled with Sneeboer’s quality and craftsmanship. Overall length 100 cm; plug depth 9 cm; plug width 6 cm narrowing to 4 cm.